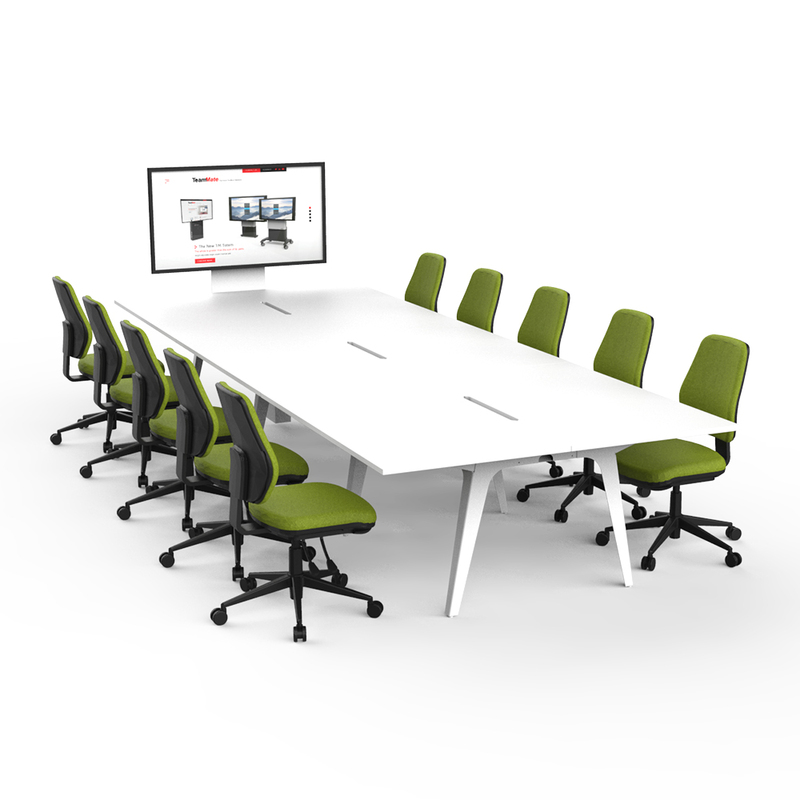 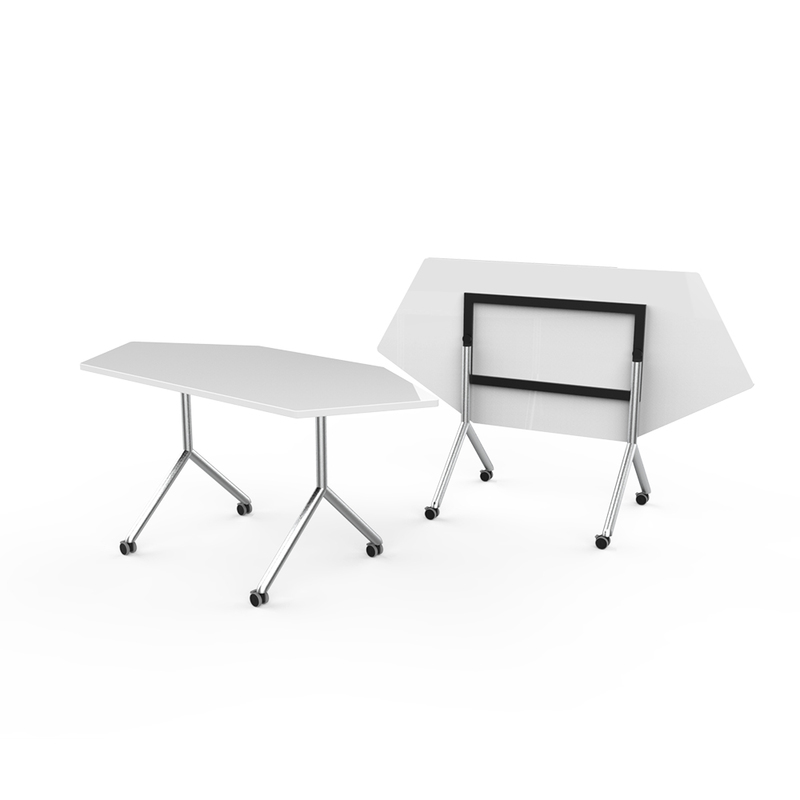 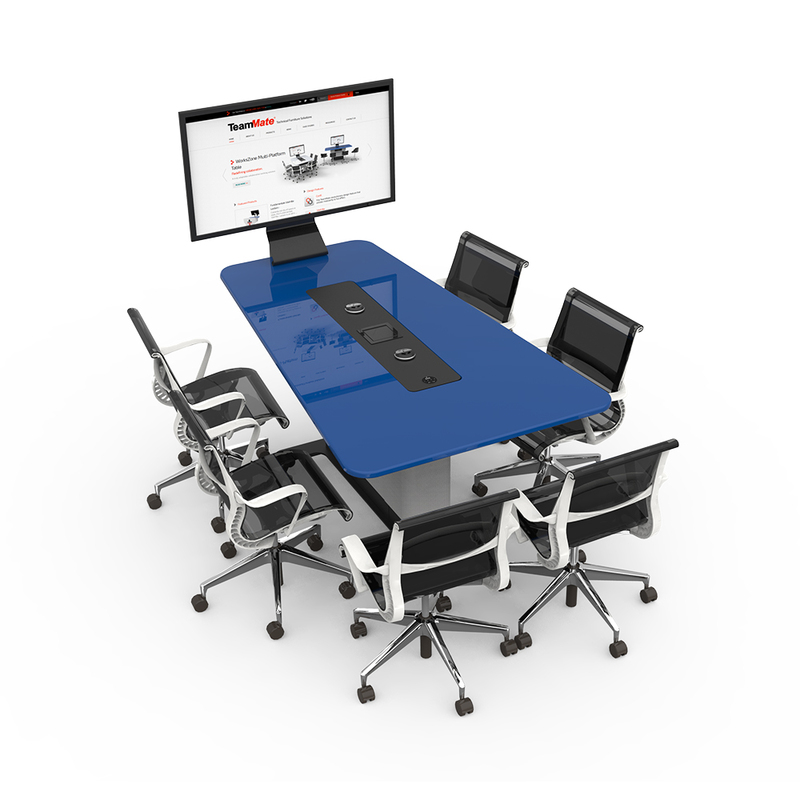 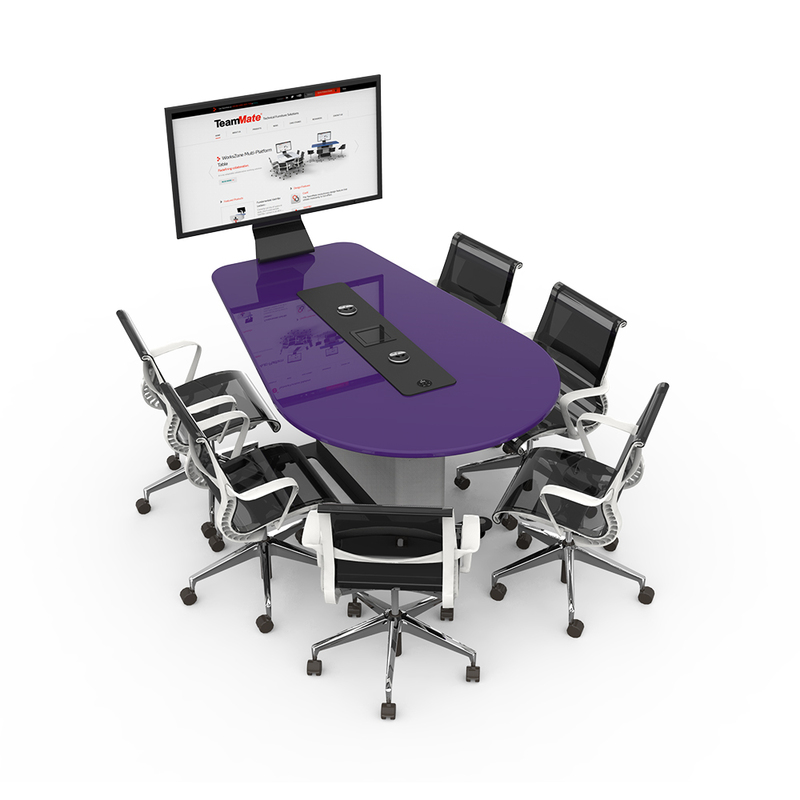 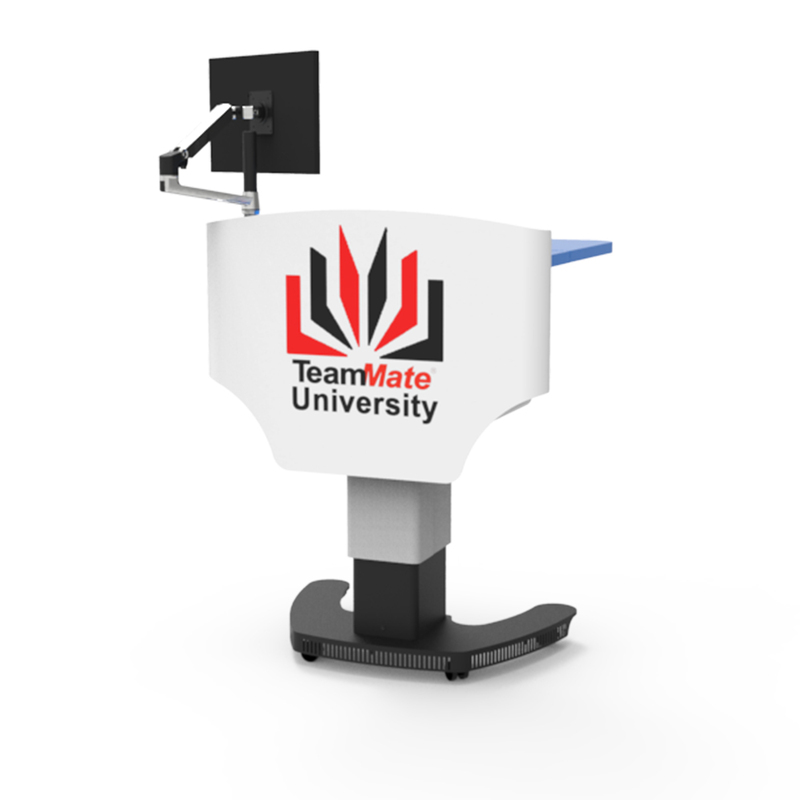 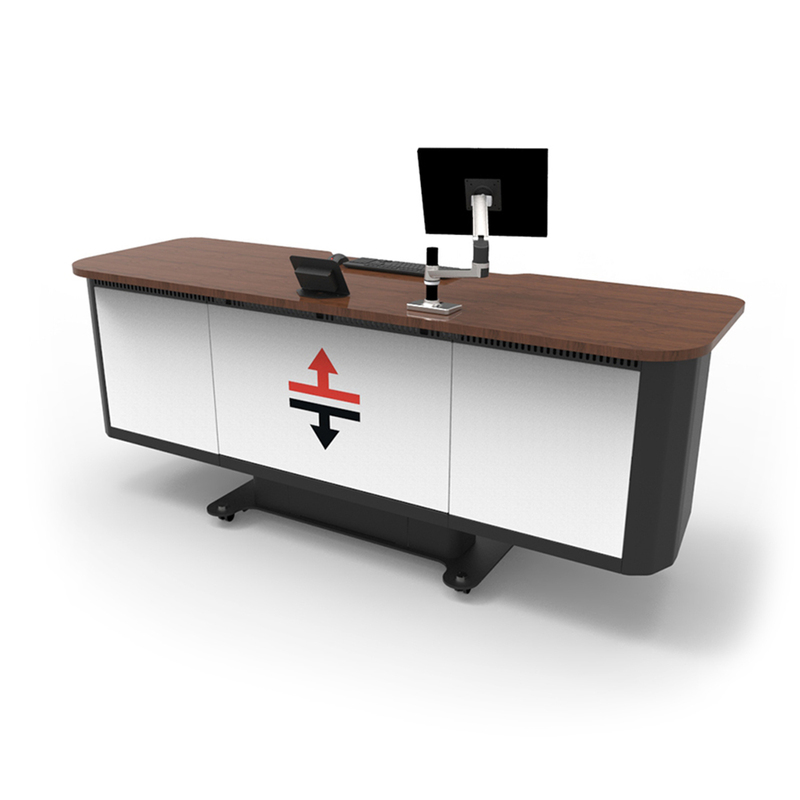 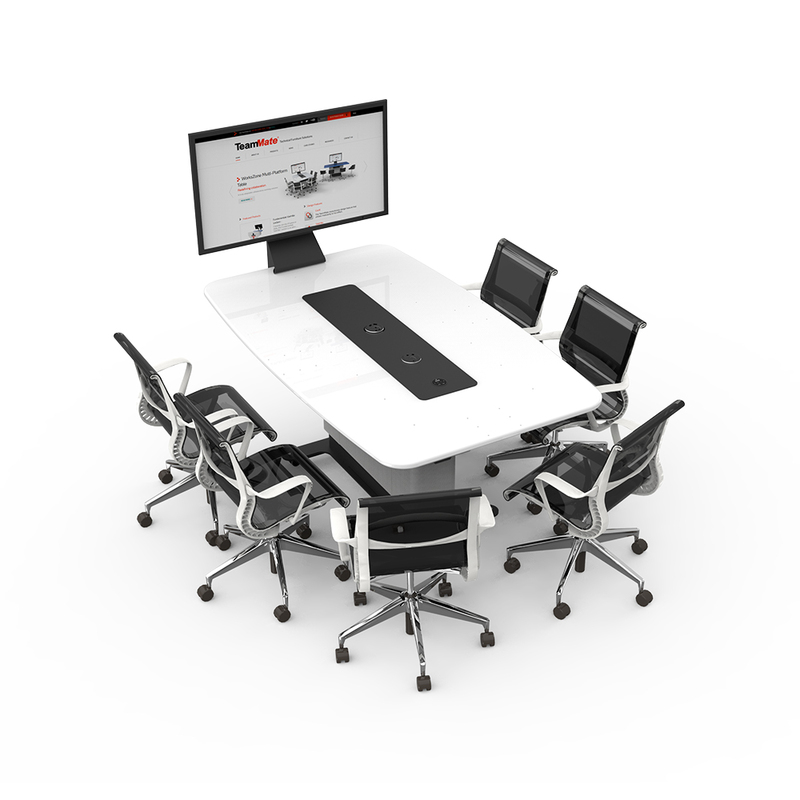 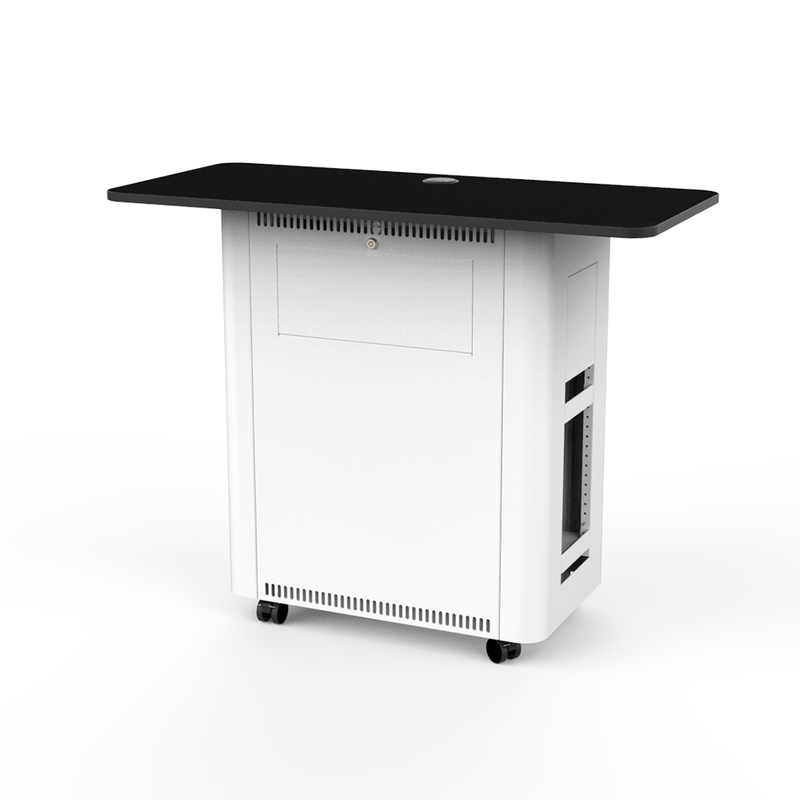 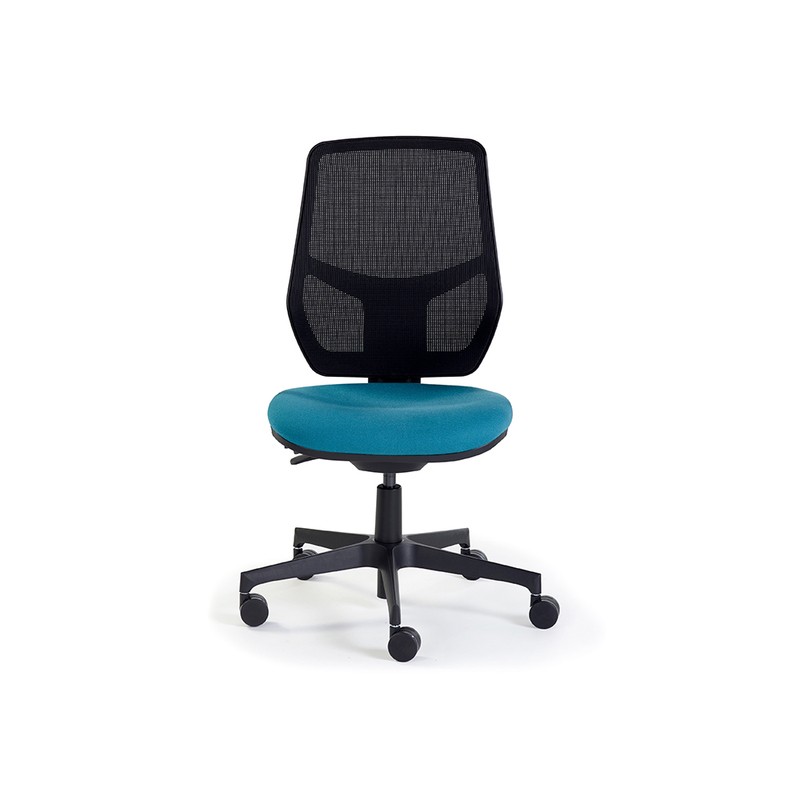 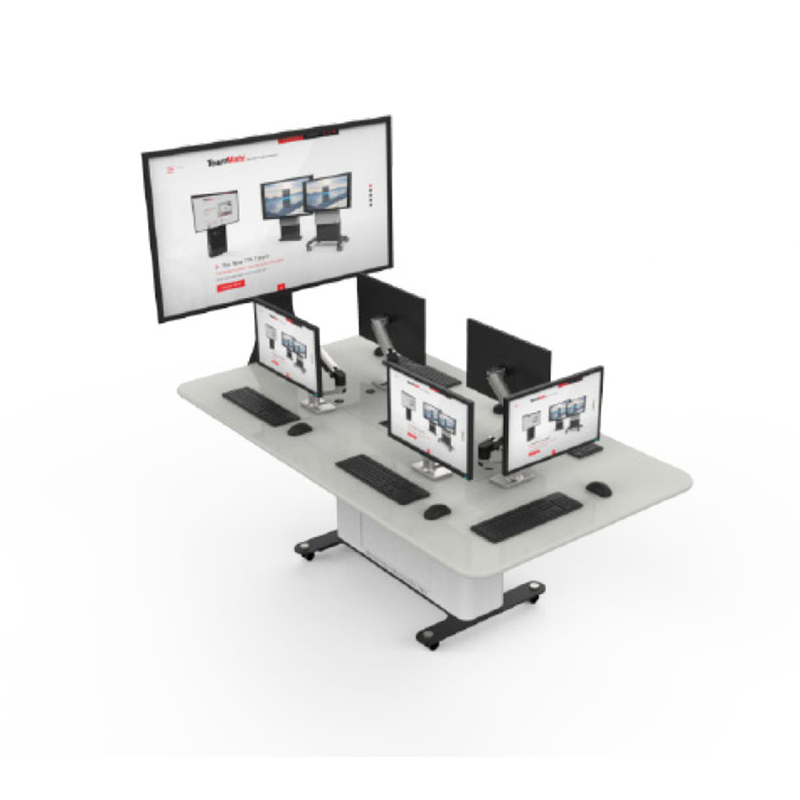 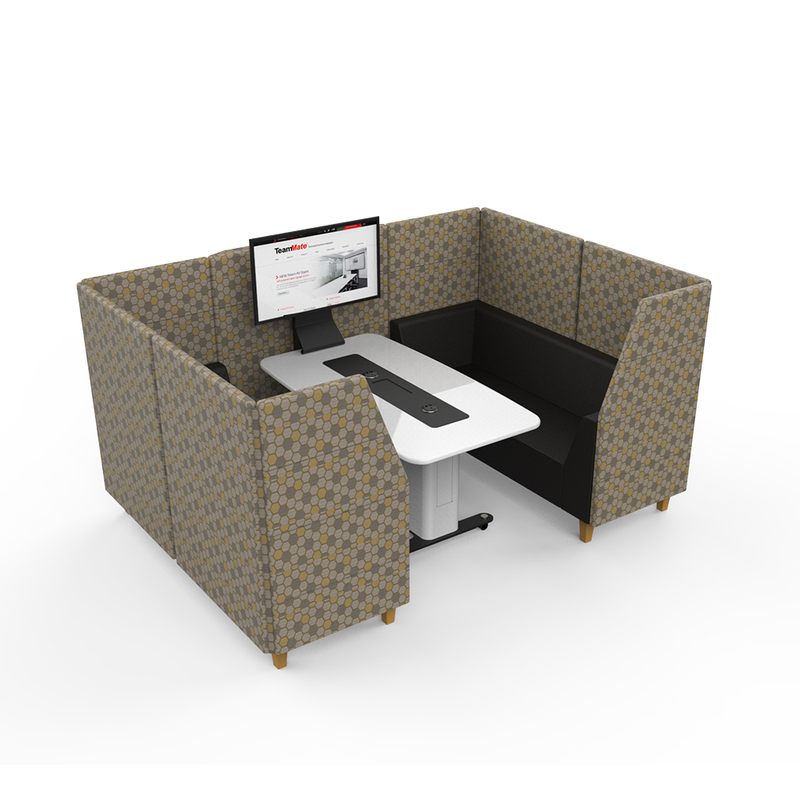 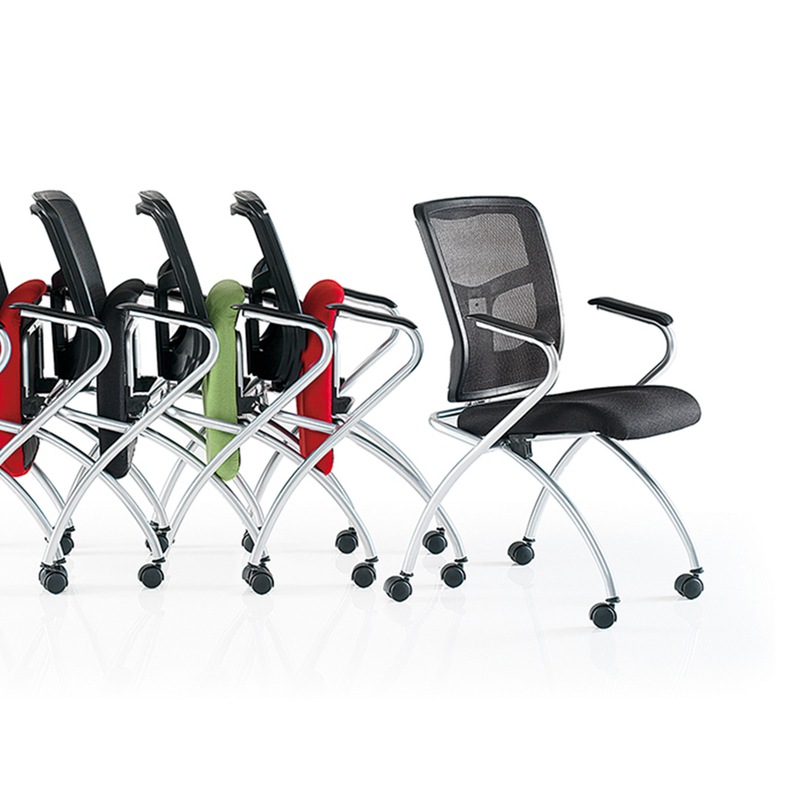 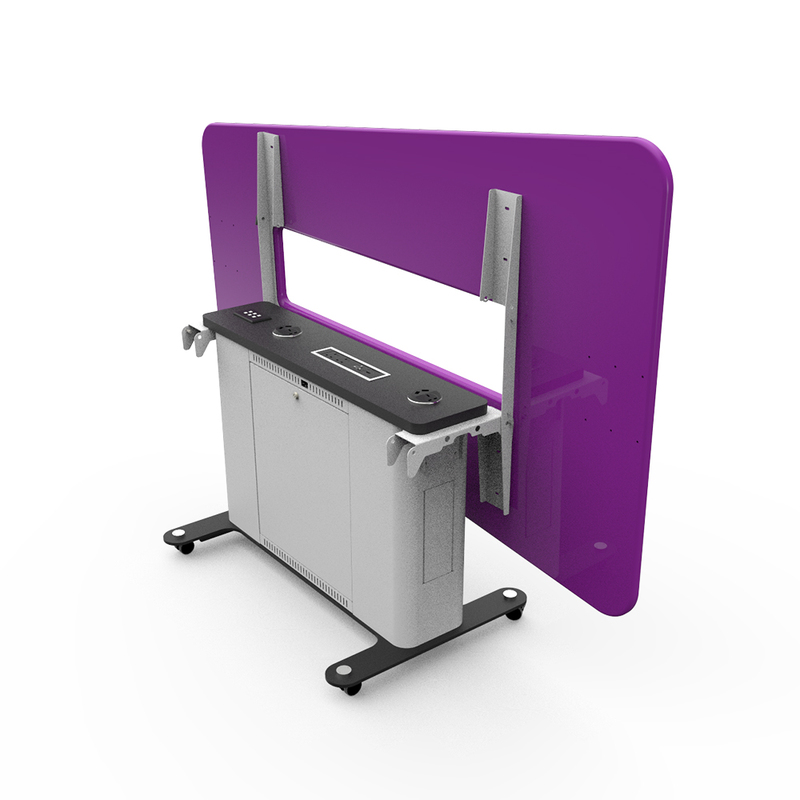 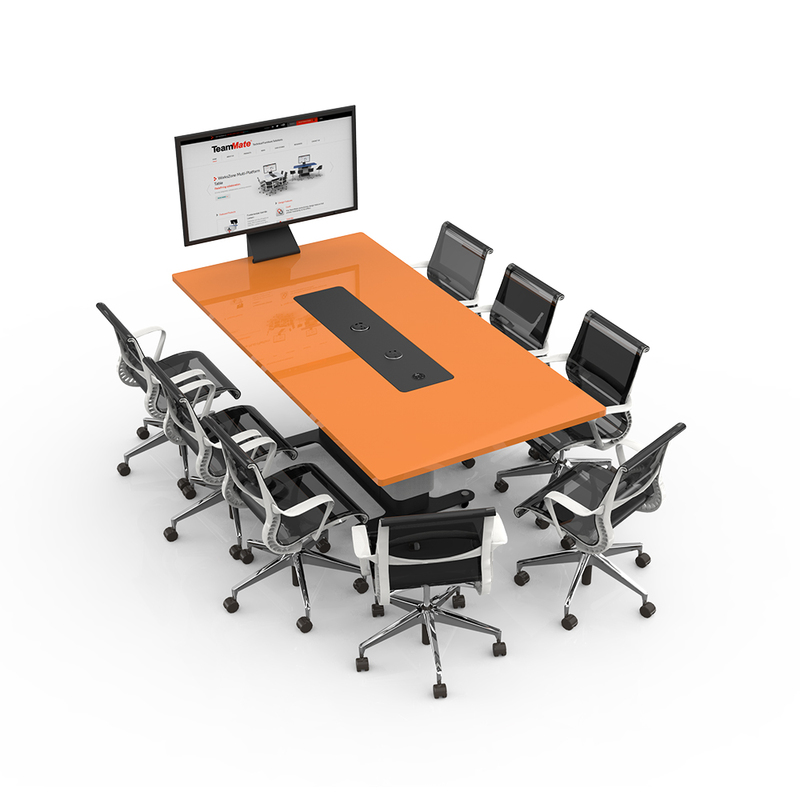 The Educator Twin Desk is the largest and one of the most prestigious lecterns in TeamMate’s Educator Range. 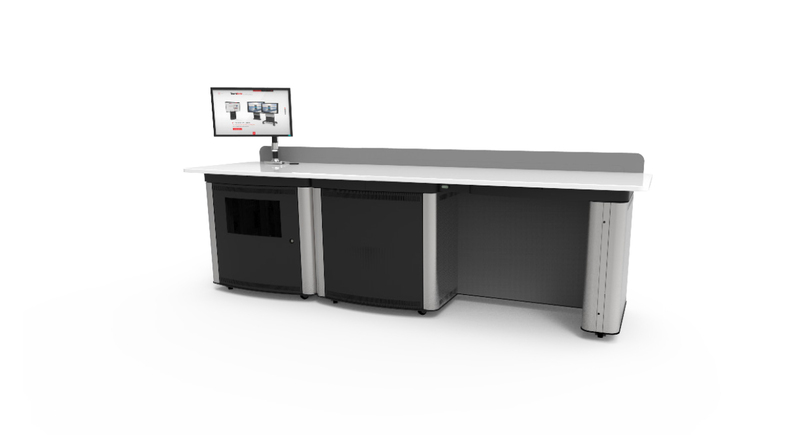 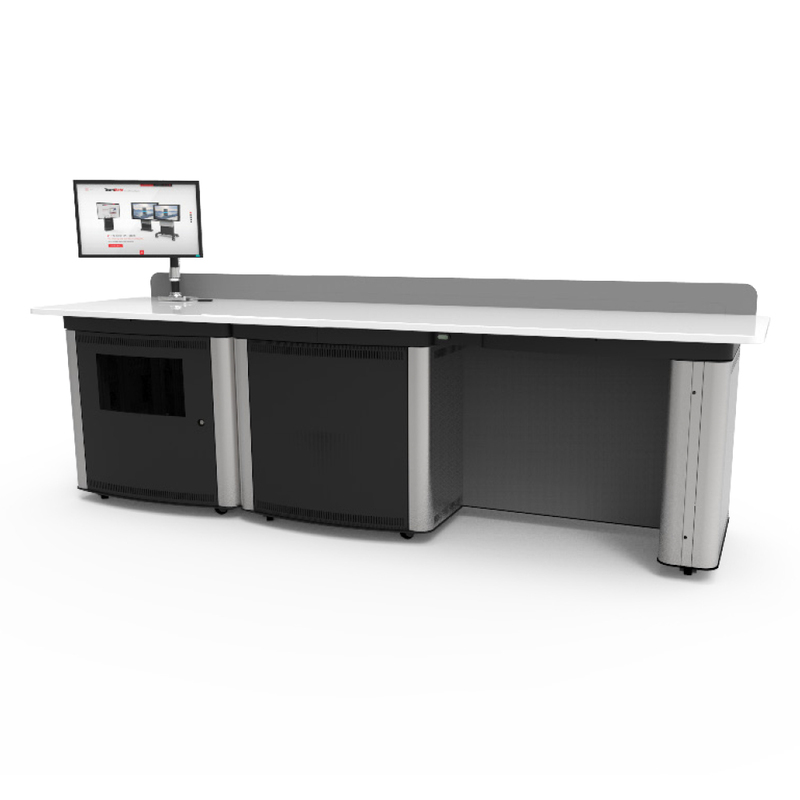 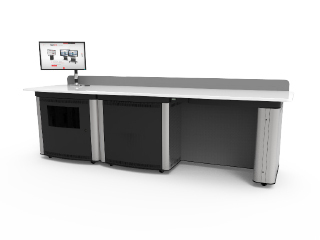 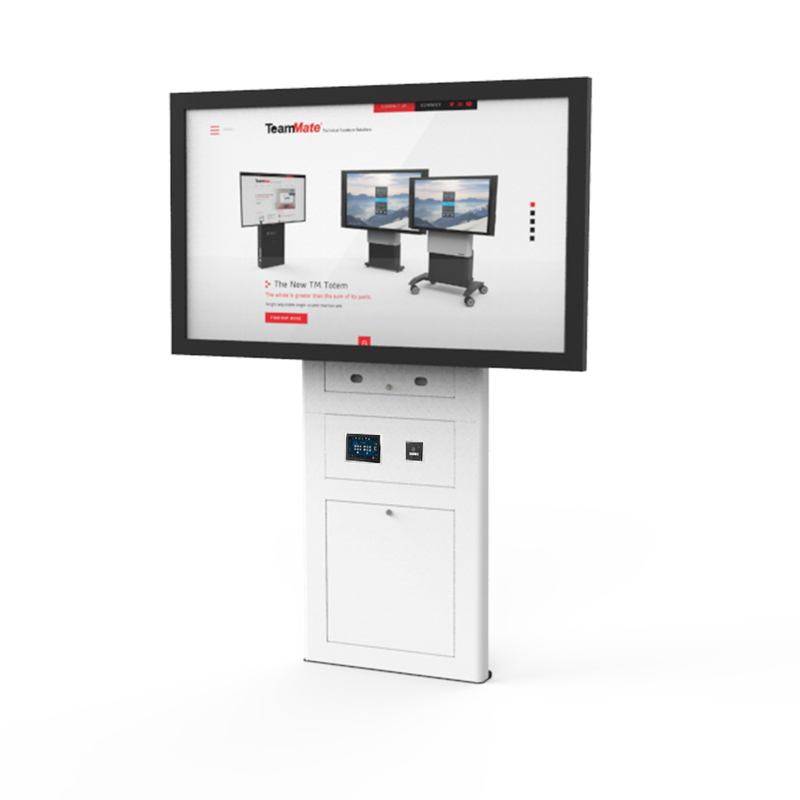 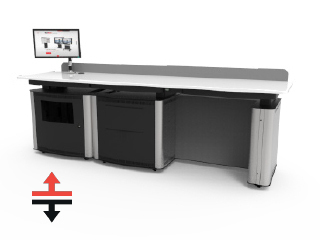 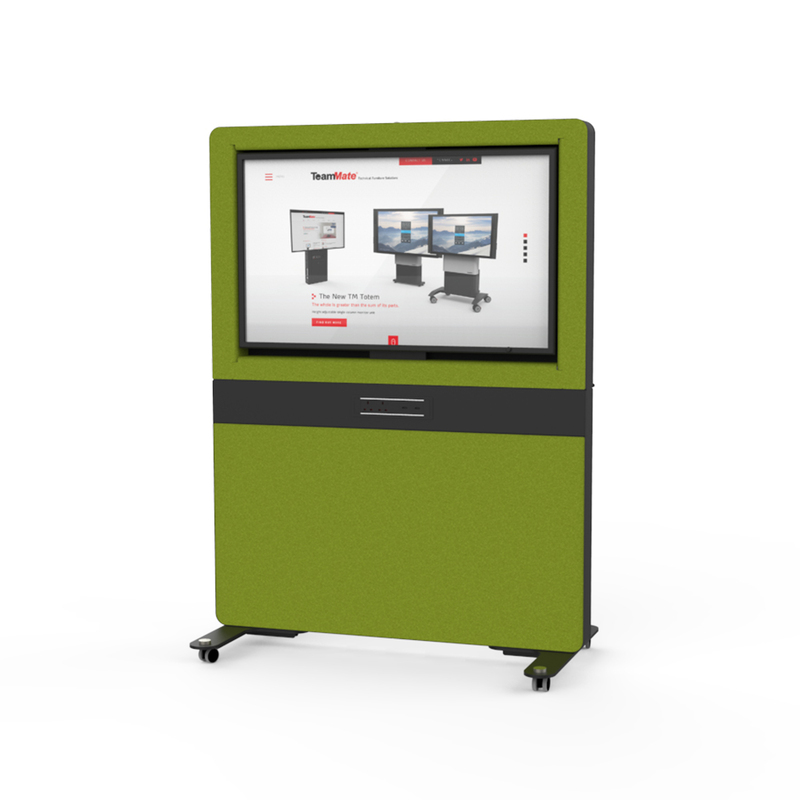 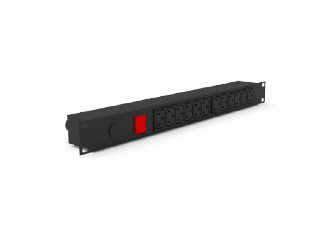 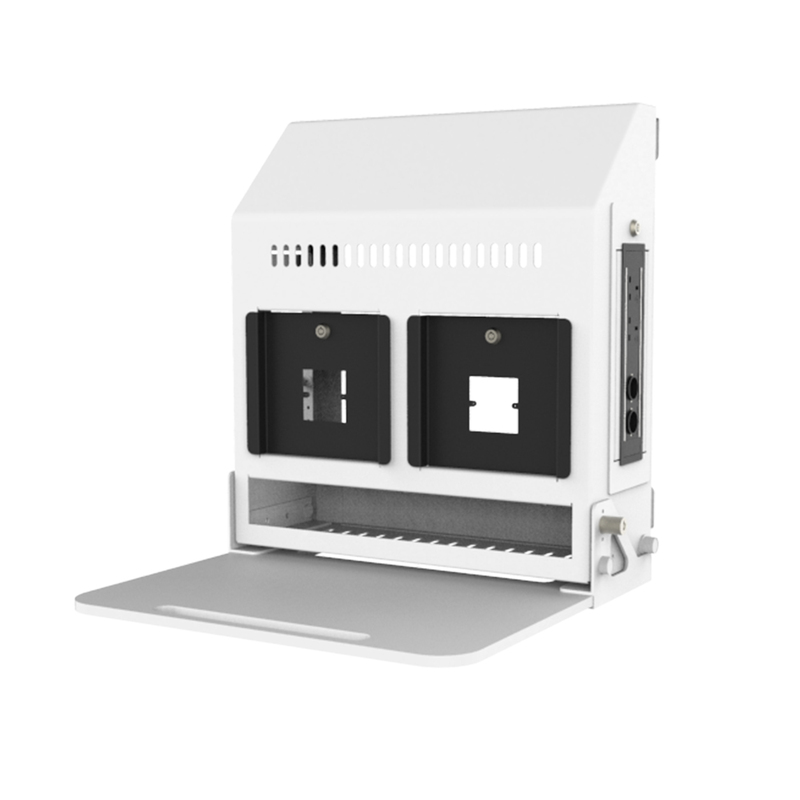 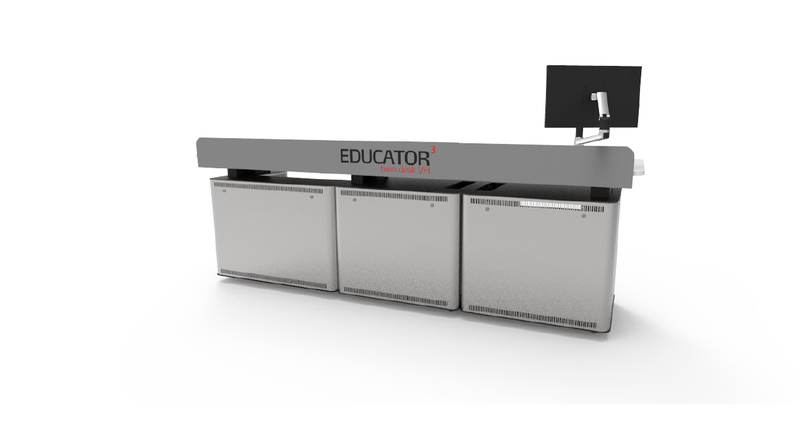 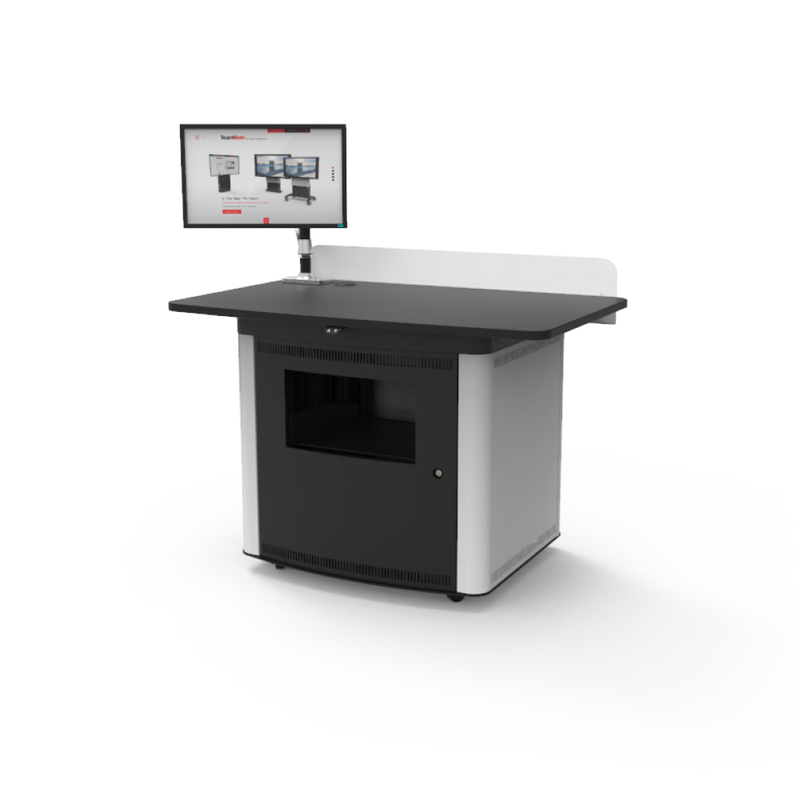 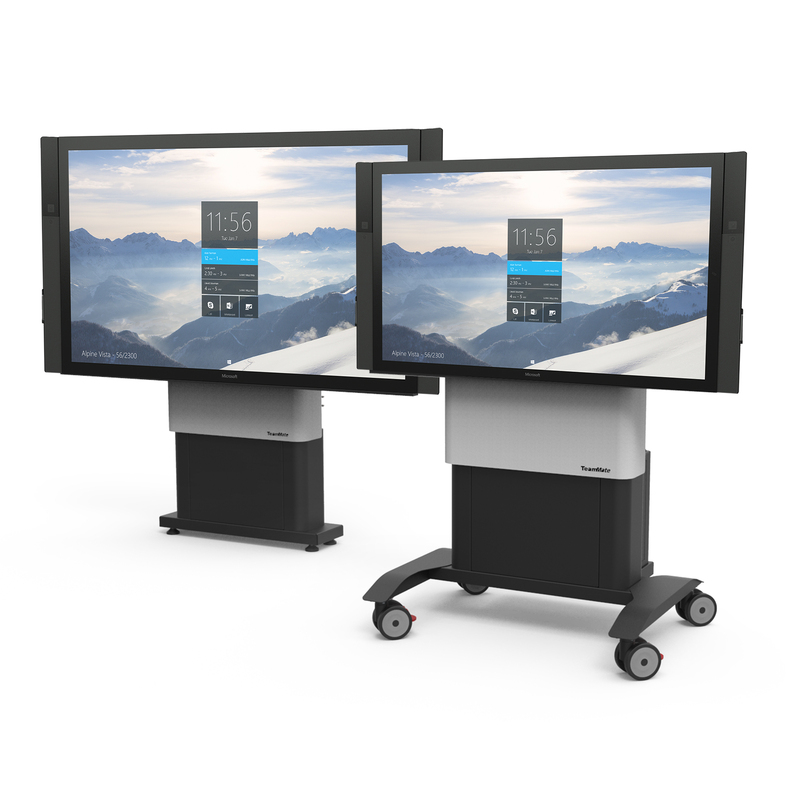 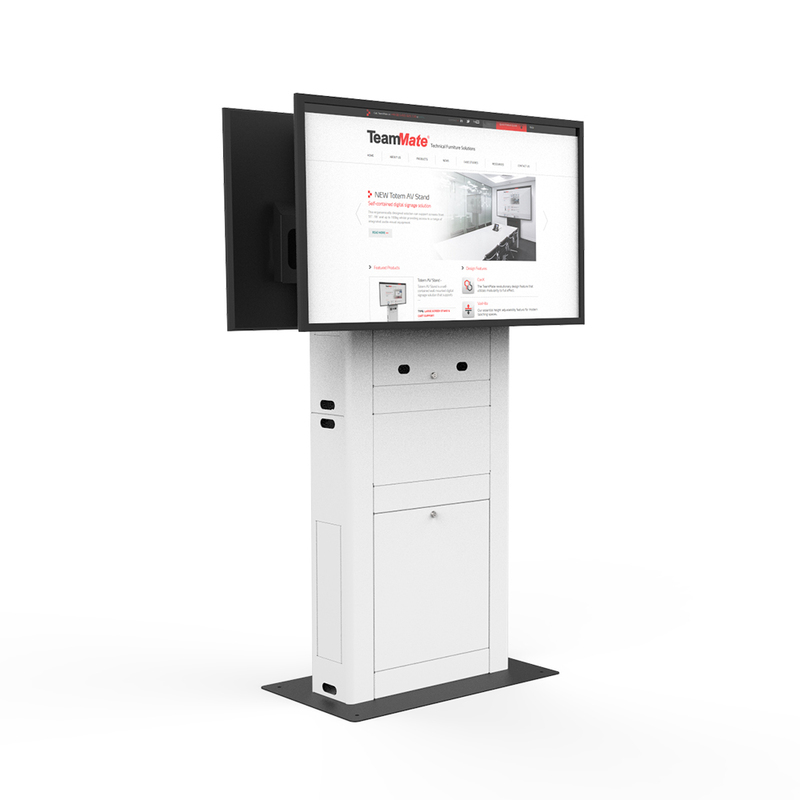 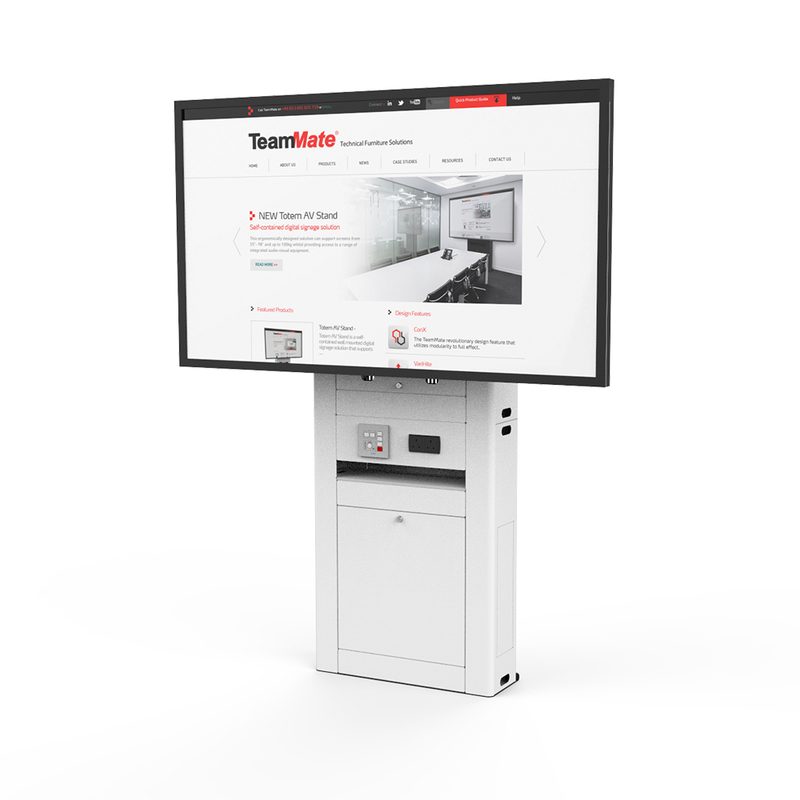 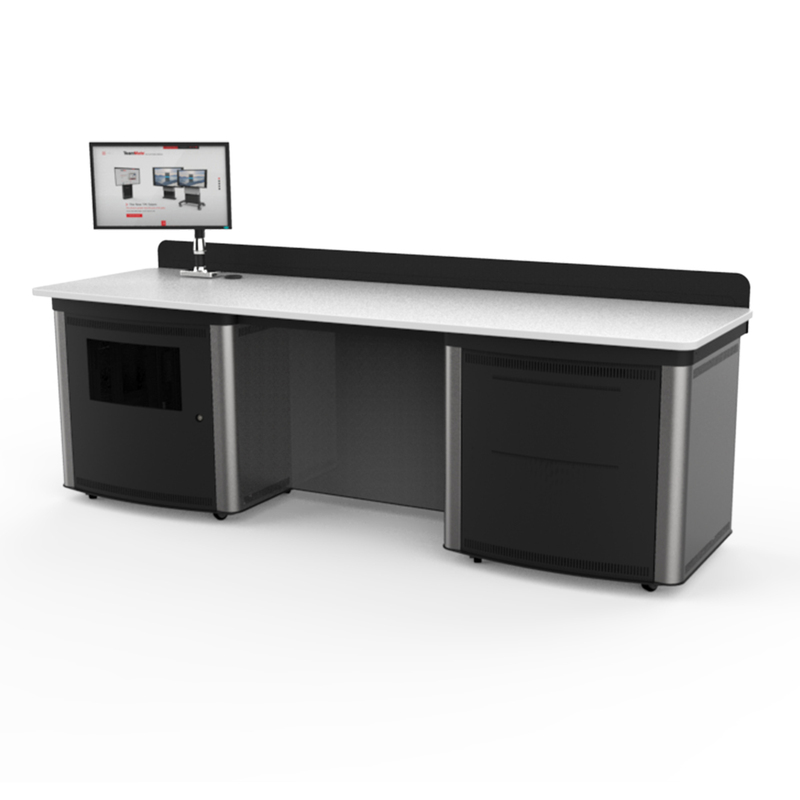 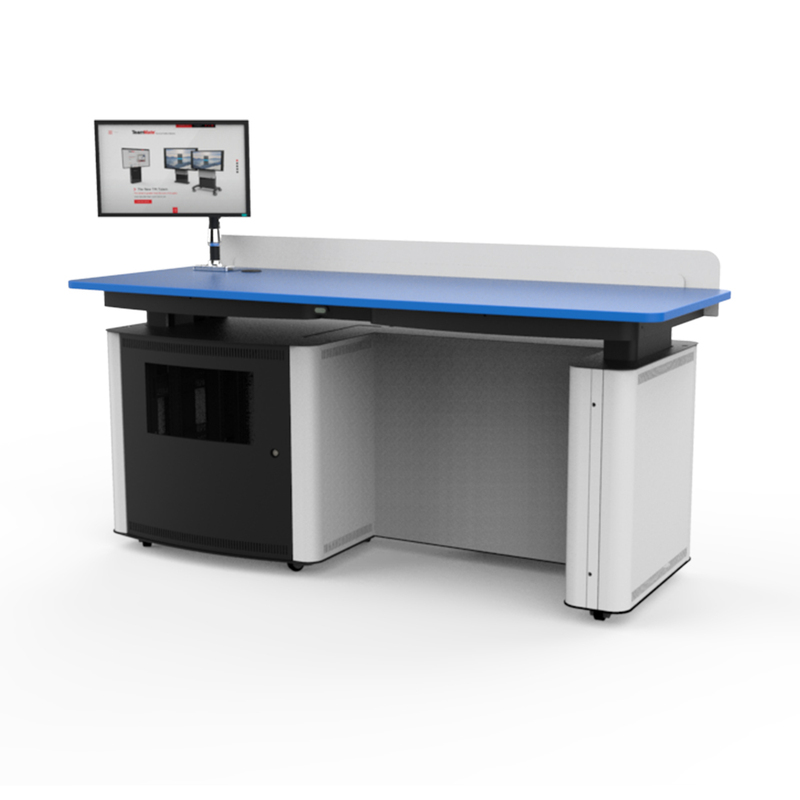 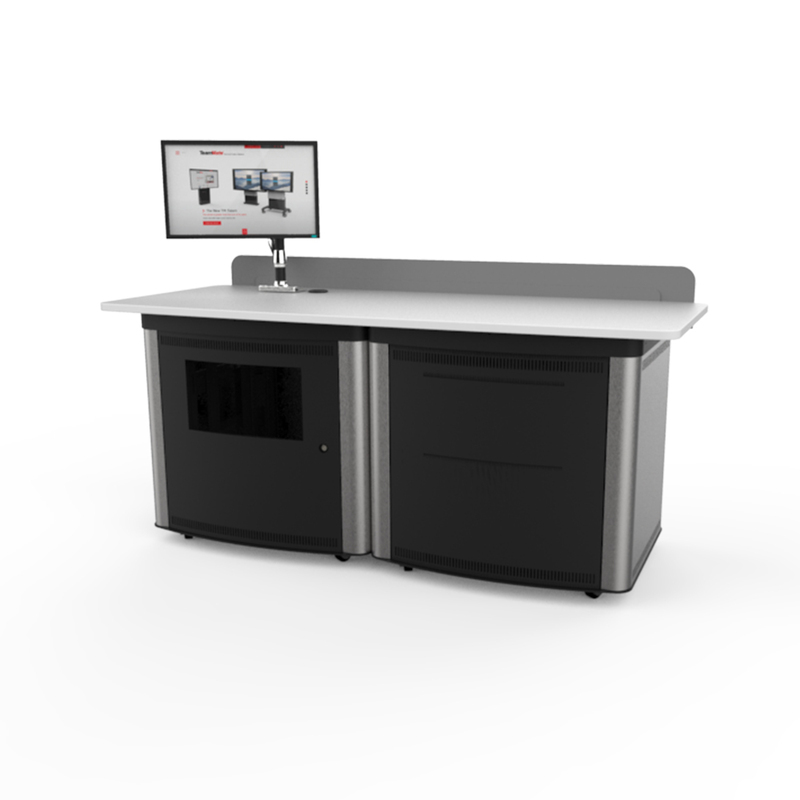 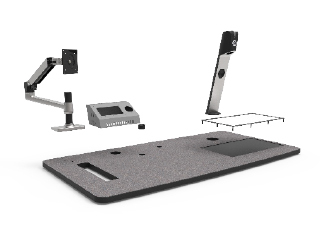 After years of feedback, and months of development and fine tuning, the Educator3 has several new and improved features over its predecessor; including a redesign to the front door, hinged side doors and worktop, improved cable management and a removable rack. 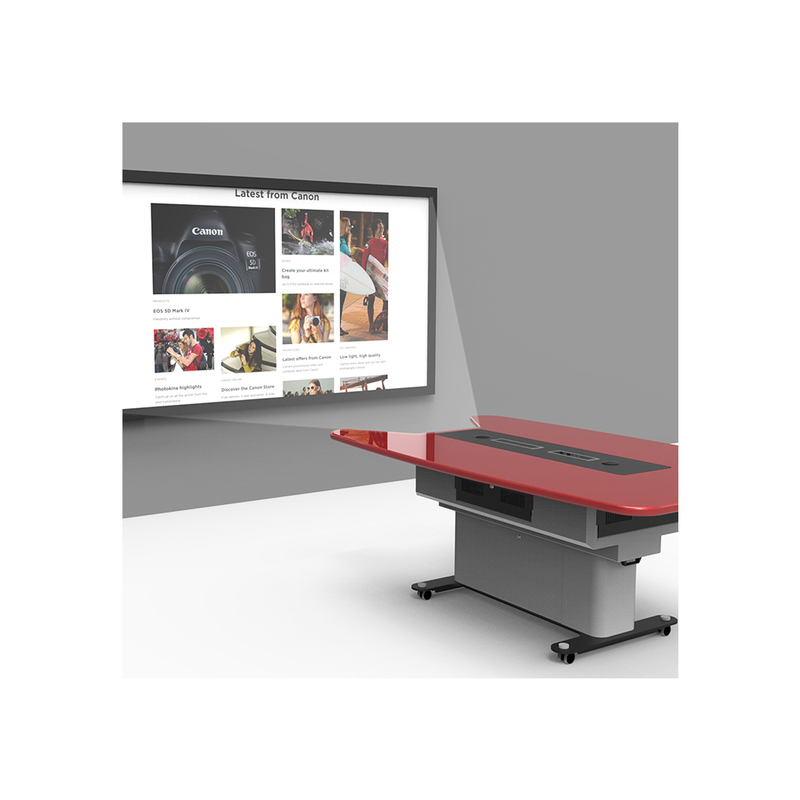 The Educator3 boasts options for a fully height adjustable worktop for DDA, ADA and Equality Act compliance with a height range of 815-1050mm. 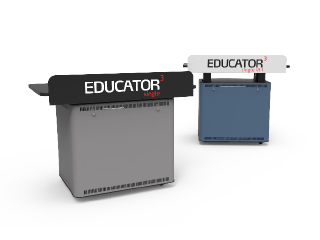 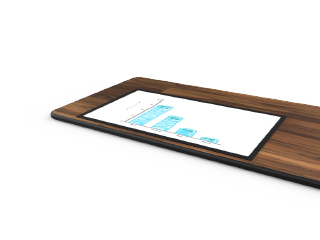 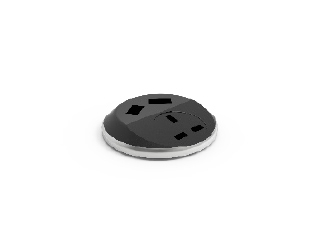 The Educator3, with its low-profile look, can be fully customisable with several standard metalwork and worktop finishes. 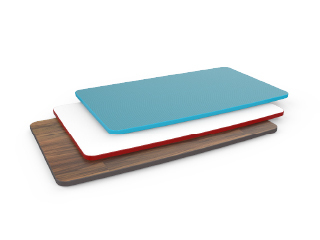 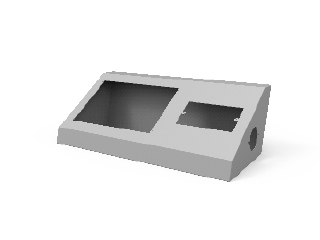 A range of worktop accessories is also available, all discretely hidden with the included secrecy shield. 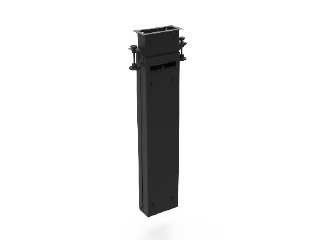 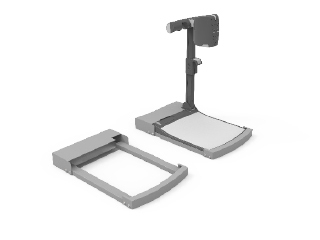 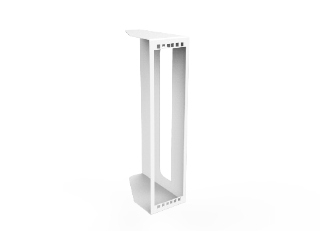 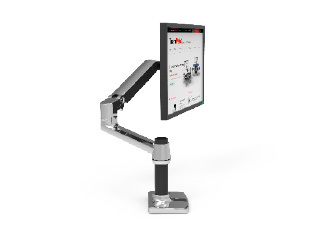 Made and assembled in the UK, this flexible range of lectern racks start as a blank canvas, enabling you to create the lectern you want to suit your application.